Prepare for the ultimate dinosaur-themed adventure! Now you can take your tribe anywhere, at home or on the go! Stranded on a mysterious prehistoric island, you must explore its vast biomes as you begin to hunt, harvest, craft tools, grow crops and build shelters to survive. Use cunning and skill to kill, tame, breed and even ride Dinosaurs and other primitive beasts living on 'The ARK'. 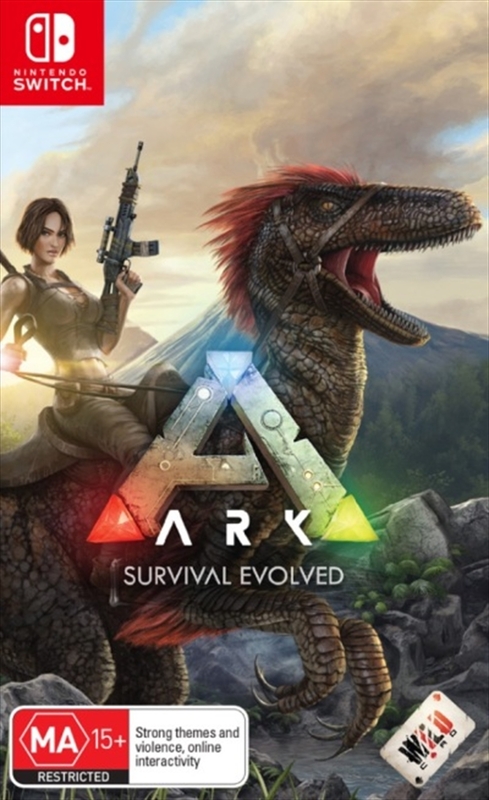 Advance your technology from primitive stone tools to T-rex mounted laser cannons, as you group up with thousands of players online or enjoy a solo Jurassic experience. Enjoy the new single player settings mode in ARK, which speeds up earning XP, crafting, taming dinosaurs and more. The overall difficulty of the game is also altered for solo players, and with these new settings, setting out for a single-player adventure in the world of ARK is a smoother and more enjoyable experience for players who prefer to go it alone. Capture and tame dinosaurs: Discover over 100 different dinosaurs and prehistoric creatures on the island, finding ways to tame them into useful additions for your tribe's dinosaur herd. Survive above all: Hunger, thirst, basic safety and protecting yourself from the weather are all part of the game. Run too far and not only will you be exhausted, but you will also quickly get hungry and thirsty. Weather effects are based on real-world climates, so you'll need to hide out from rain and snow, while making the most of sunny days. Harvest, hunt and build: Cut down trees and turn them into a basic home, which you can quickly expand into a Jurassic Estate. Hunt for meat, scavenge for plants or start your own garden. Gather resources, customise everything: An extensive crafting system invites you to mix and match materials scavenged from the island, while also modifying the colours, textures, shapes and style of everything from the walls of your home, to your character's armour, weapons and more. Explore the island: Solve the mystery of The ARK as you explore this massive island, discovering Explorer's Notebooks throughout. Make your way to the final boss and figure out why you've been dropped into this jurassic-era experience.